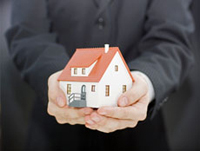 Westminster Real Estate & Property Management, Westminster Real Estate & Property Management, Westminster, CO Real Estate & Property Management Companies. Your property will have exposure in both of the Multiple Listing Systems (MLS) used in Denver, Westminster, and the Front Range. Every real estate agent who's looking to purchase a home in and around this geography will have full access to your listing to introduce and tour with their buyers. Westminster is a northwest suburb of Denver in Adams and Jefferson counties, settled in 1858 when Gold was discovered in the South Platte River Valley. Naturally that brought national attention to the area that would eventually become Westminster, which is now the seventh most populous city in the state. In July 2006, Westminster was ranked as the 24th best place to live in the USA by Money magazine. With direct access to major highways, Westminster's central location between Denver and Boulder puts it within easy reach of major business centers, retail centers and a variety of entertainment and recreational facilities. Activities in Denver or Boulder are a 20-minute drive in either direction, and the drive from Westminster to Denver International Airport takes approximately 30 minutes. The list of other fun things to do in Westminster is endless. There's movie theaters, recreation centers, golf courses, parks, open space trails, ice skating and roller skating, soccer, miniature golf, swimming and hundreds of restaurants and retail stores. In other words, Westminster has everything you need for doing business and having fun. To become a school of excellence, SLHS must be a school that provides a positive and welcoming atmosphere including academic excellence and respect, a shared sense of purpose and direction, goals and objectives that reflect our sense of values, and the participation of members of the school community in order to transform ideas into reality. A school of excellence emphasizes the intellectual growth of the Standley Lake High School community and provides students with a comprehensive curriculum consisting of a strong academic core and a variety of elective courses, complemented by co-curricular and extra-curricular activities. The mission of Jefferson Academy is to help students attain their highest academic and character potential through an academically rigorous, content-rich educational program. Jefferson Academy envisions a community of parents, teachers, students and educational and business leaders working together to create a learning environment that engenders growth in character, academic achievement, and the love of learning, resulting in responsible, productive citizens. Our school is a safe and accepting community where all children and adults are encouraged to develop a lifelong appreciation for learning, are challenged to strive for excellence in education and are valued and respected as contributing citizens. Ryan is a safe place for caring and sharing, laughing and learning. Sheridan Green is committed to empowering each individual to become a life-long learner and to achieve his/her full growth potential academically, socially, physically, and creatively. We are a collaborative community consisting of staff, students and parents. We provide a safe learning environment where structure is defined, risk-taking encouraged, and diversity valued. We believe this fosters a climate of trust, enjoyment, health, respect, pride, and acceptance. All members of our community have a responsibility to communicate openly and honestly, honor the rights of others, and value excellence in education. Earned the highest Colorado Department of Education School Performance Framework (SPF) score (92.4%) for the 2013-2014 school year out of all schools K-12 in District 12! Cotton Creek Elementary School was recognized by the Colorado Department of Education earning the Governor's Distinguished Improvement award. The Governor's Distinguished Improvement awards are given to schools that demonstrate excellent student growth. Cotton Creek was one of 128 schools in Colorado to earn this prestigious award! Birch is a neighborhood school with strong community support and experienced staff that holds high expectations for their students. At Birch, we recognize that each student brings special talents on which we capitalize, as well as areas of need, which we nurture. In doing so, we provide a learning environment that affords each child the opportunity to reach their "personal best" and develop lifelong skills that will assist them in decision making and problem solving as they continue on their life's journey. The primary purpose of LIFE Christian Academy is to educate children according to the Word of God. Respect for God, parents, and all authority will be upheld. Academic excellence, combined with biblical values, willjoin together to equip students for success. Every subject offered will be taught from a Christian worldview perspective. We offer a variety of extra-curricular classes for all Kindergarten-Seventh grade students. Some of the classes offered are; Spanish, Vocal Music, Physical Education and Art. Founded in 1943, Devereux Colorado is proud to be Colorado’s premier facility for the treatment of psychiatric, emotional, and behavioral problems in children and adolescents ranging in age from 12 to 21. Nationally recognized for its innovative and family focused programs, the campus receives referrals from throughout the United States. Belleview Christian School exists to provide an excellent education founded on biblical truth so students can grow into the image of Christ, understand and articulate a Christ-centered worldview and develop a passion to serve Christ's church for the sake of the world. If you’d like additional detailed information or explanations into Westminster's demographic and mapping data that is shown below, be sure to click anywhere within the widget where you’ll then have the opportunity to individually click and review the Livability, Amenities, Cost of Living, Crime, Education, Employment, Housing, and Weather portions of the demographic data shown here. There’s a wealth of information to be learned from this portion of the website, and if you’re looking to live or invest in a new city, then this resource should definitely be reviewed as part of your decision making process.